Unless the technology, somehow, proves to be drastically limited, 3D printing is likely to the genesis of a manufacturing revolution. Now, a team in San Francisco believes that it has taken another leap towards our utopian future by building a “3D printer” for our clothes. The team behind Electroloom hope that, a few years down the line, instead of trips to H&M, you’ll be ducking into your basement with a set of drawings the next time you need a new outfit. 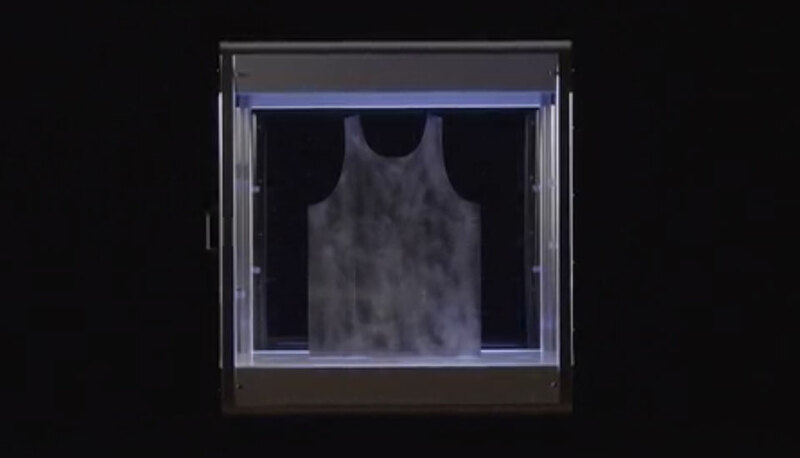 Essentially, the Electroloom is a plastic box that can hold a thin metal template, for instance a crudely crafted tank top. Then, a customized mix of liquid polyester and cotton is passed through an electrically charged nozzle and spun into nano-fibers. These fibers are then drawn towards the 2D template, where they bind to each other to form a very thin, but very strong fabric. Even though they’re quite crude, the resulting “clothes” have no seams or stitching, making them much stronger than your average t-shirt. If there’s one downside, it’s that the terminally impatient will have to wait between eight and 16 hours for their clothes to form. Of course, given the various ethical and environmental issues that surround fashion providers, on-the-go clothes manufacturing seems like an easy win. The company is looking to raise $50,000 in funding on Kickstarter, and much like Oculus and some other high-profile startups, Electroloom isn’t offering this as a consumer product. Instead, it’s offering Alpha versions of its hardware for designers, inventors and creators in the hope of improving the system. If you’re prepared to chip in $4,500 (told you), then you’ll get a prototype, complete with 1.5 liters of solution that, the company promises, is enough to produce 7 beanies, 4 tank tops or 3 skirts. You’ll be able to buy more liquid when you run out, but Electroloom doesn’t yet know how much it’ll cost you.